The music of the late John Denver is like an old friend, outlasting trends and standing the test of time. Join acclaimed performer Jim Curry for this tribute to the music of one of the most beloved singer/songwriters ever to grace the stage. 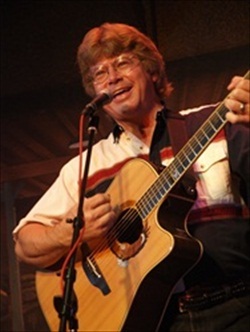 Jim's voice was heard in the CBS-TV movie Take Me Home: The John Denver Story, and he has performed Denver’s music in sold out shows all throughout the country. Jim’s uncanny ability to mirror John’s voice and clean-cut look takes you back to the time when “Rocky Mountain High” “Sunshine” “Calypso” and “Annie’s Song” topped the charts, and his popular music had the heartfelt message of caring for the earth and caring for each other.